From its dazzling location in the West End of London, at the hub of Covent Garden, West End theatres and Trafalgar Square, St Martins Lane is a dramatic and daring reinvention of the urban resort. 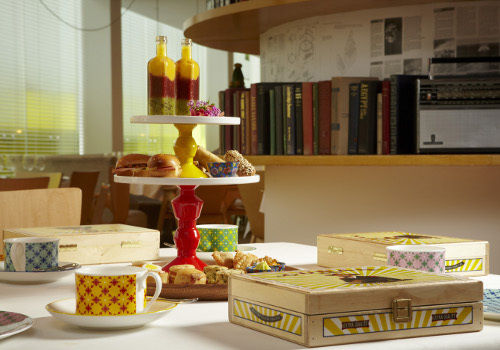 Smart, witty and sophisticated, this luxury boutique hotel is a luminous jewel whose glowing yellow glass revolving doors and widely popular Light Bar reveal Philippe Starck's brilliant collision of influences - from the modern to the baroque - that suffuses the hotel with energy, vitality and magic. 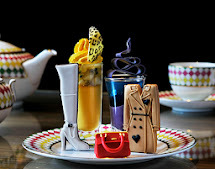 Afternoon Tea is served in Asia de Cuba, where the sleek and eclectic design features minimal white surfaces, juxtaposed against bare bulbs and luxurious pillars adorned with quirky pictures. 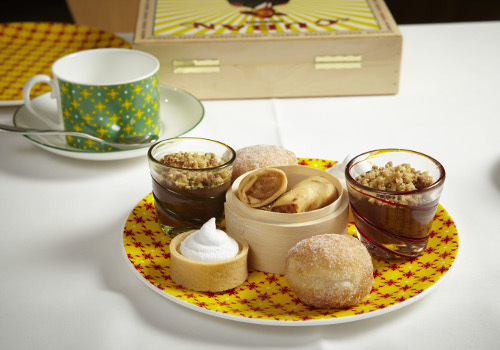 Restaurateur Jeffrey Chodorow has created a dynamic Asian inspired Afternoon Tea menu including a hot smoked salmon tart with quails eggs & chipotle hollandaise and a chocolate chilli cream and pistachio crumble, served with a selection of teas to accompany the savoury and sweet courses.